You are always welcome to attend as much of the inspection as you would like. Varying home buyers have varying requirements and John Mease Home Inspections provides inspection timing and a report that will exceed your expectations. You may choose a morning or afternoon inspection Monday through Saturday and you may attend as much or as little of the inspection as you choose. I voice record all concerns as they are discovered over the course of your inspection to ensure the information is timely and correct. I include sample photos in each report to enhance communication. I will deliver your report same-day via e-mail. If you choose to or cannot attend the inspection, I will be available by phone or e-mail to answer any questions. Your home inspection includes a complete evaluation of the exposed components of the property. As an overview, we will walk the exterior looking for drainage issues, the effects of Mother Nature on the home and any maintenance issues that have grown over time. Inside we will operate the house – plumbing, electric, garage door openers, garbage disposals heating and air conditioning and the like. We will evaluate exposed framing and foundation walls, enter crawlspaces and open electric panels. 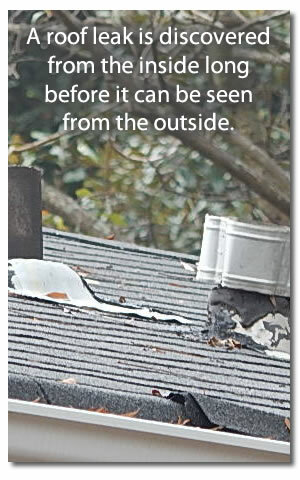 I will familiarize you with the outside influences that will affect your home in the Atlanta area. We will talk about how your home and property will change over time, relative to a new or re-sale home. I will answer specific concerns you may have about your purchase – the home inspection is designed to relieve your concerns – and when you are satisfied, you make the call.